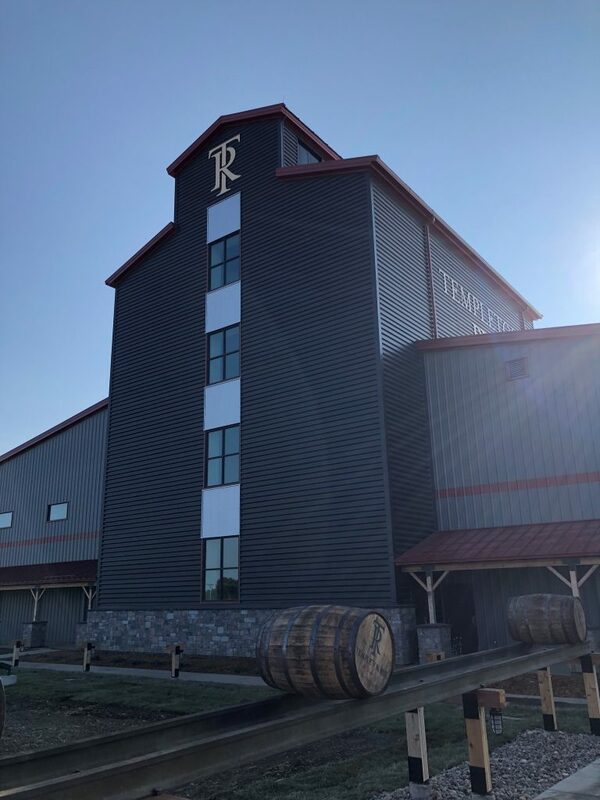 Templeton Rye Spirits opened the doors today to its new distillery in Templeton, Iowa today. The celebration of the completion of the $35 million dollar, 34,500 square foot facility included the release of a new Special Reserve 6 Year Old Whiskey, available only at the distillery. 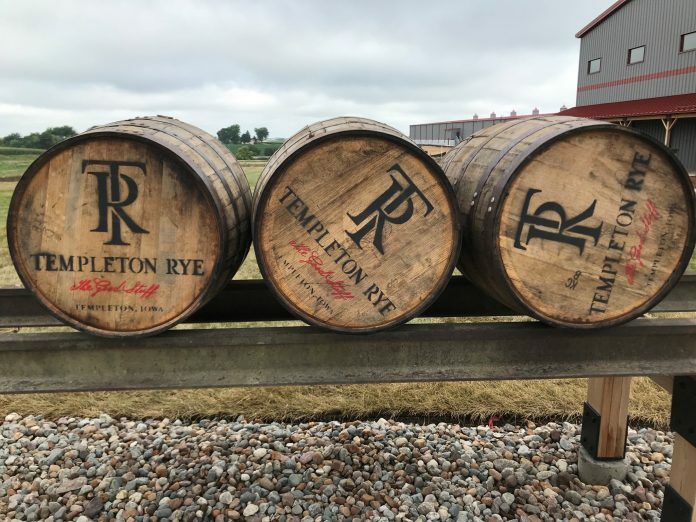 While the bottles of Templeton Rye on found on shelves today are distilled and aged in Indiana, then finished and bottled in Iowa, the opening of the new distillery will see all steps of the whiskey making process take place in Templeton. The new home of Templeton Rye Spirits. Located on 20 acres of land east of downtown Templeton, the distillery expects to produce 500,000 proof gallons of rye whiskey each year. Its 55,000 square foot warehouse will hold 54,000 aging barrels full of whiskey made on copper stills imported from Scotland. In addition to the distillery itself, the campus houses a visitors center, museum, and tasting room expecting thousands of visitors each year. Templeton Rye Whiskey was first legally available in 2006, but it began its story in the 1920’s, when residents of Templeton crafted a rye whiskey in an underground bootlegging enterprise that flourished through Prohibition. The new distillery may be a bit more impressive than a basement or barn – but the spirit remains true to its roots. Click here to learn more about Templeton Rye Spirits and their commitment to their community.